Dr. Robert Tielman is a social sciences educator and he retired as a professor of Humanist Studies and head of the Gay and Lesbian Studies Department at the University of Utrecht. 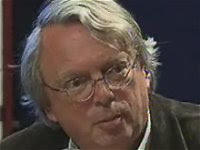 Among several positions he is President of the Public Schools in the Netherlands, President of the Humanist Archives, and Secretary of the Dutch Foundation of Gay and Lesbian Professors. He was President of the Dutch Humanist Association (1977-1987) and of the International Humanist and Ethical Union (1986-1998). And he wrote Homosessualiteit in Nederland (1982) and Bisexuality and HIV/AIDS: A Global Perspective (1991). -What specific circunstances in your life helped you to become a humanist? Rob Tielman: My father was an atheist, my mother a catholic: it stimulated me to reflect upon giving meaning to my life. My university professor was a humanist and he introduced me in the humanist movement. I am now 40 years active as a humanist. -Why is better for us to be called humanists rather than simply freethinkers, non-believers, atheists, skeptics, humanists or religious humanists? Rob Tielman: It is better to call yourself what you are and not what you are not. Freethinkers, non-believers, atheists and skeptics are not necessarily humanists. The word religious is very confusing. In Dutch we have a clear distinction between theistic religions and non-theistic life stances like humanism. -Do you think human beings are predisposed to have religious beliefs not only by social factors but natural ones, i.e. genetic ones? Rob Tielman: I am a sociologist and I notice that there are many human beings who do not need to belief in things that do not exist so I see no biologic determinism. Ghosts do not exist where people don’t belief in them. Sociologists call this self fulfilling prophecy. -What is needed to reach a successful humanist ethical life? Rob Tielman: Education and identification with humanist role models. -How do you explain the present religious fundamentalism around the world? Rob Tielman: My social scientific outlook is: “Paradox as Paradigm” (the title of my inaugural lecture in 1987): things are not what they seem to be. There is no rise in religion or fundamentalism but the rise of secularism makes some religious people despairing. -What do you think about the future of humanism, humankind and earth? Rob Tielman: Everybody who knows about the horrors of the past is an optimist. Most human beings tend to ignore the progress that has been made. Welcome to the PERUVIAN RATIONALIST HUMANISTS blog! PERUVIAN RATIONALIST HUMANISTS (HURA-PERU) was was founded in 2008 by the union of the non-Religious MPHA and Skeptical CIPSI-PERU, both of them founded in 1998.